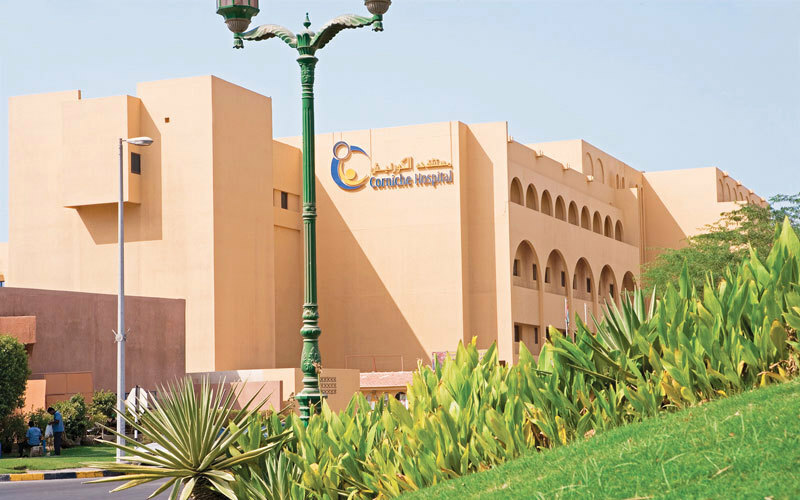 Over a five-year period, Abu-Dhabi-based Corniche Hospital cut its OB/GYN surgical complication rate in half. That big leap in patient safety was just one of a stream of improvements that fell out of the hospital’s effort to earn Joint Commission International (JCI) accreditation, according to Dr. Paul Martin Bosio, CMO of Corniche Hospital in the UAE. “We had to make large structural changes,” explains Bosio. Corniche is one of more than 1,000 JCI-accredited organizations around the world, primarily located in low- and middle-income countries. Established in 1997 as the international arm of the U.S.-based hospital organization Joint Commission, JCI quickly became an important surveyor of uniform quality metrics across the globe. Over the past 12 months alone, the organization has awarded 89 new accreditations to hospitals and 122 new accreditations to healthcare facilities. For much of the world outside of the U.S. and Western Europe, JCI accreditation is an instant recognition of quality, says Dr. Manish Kohli, internal medicine physician at Cleveland Clinic Abu Dhabi and member of the Standards Advisory Panel of JCI. “It’s like a five-star airline versus a no-star airline,” Kohli says. Hospitals hoping to win JCI’s stamp of approval must balance the long-term benefits of accreditation with the up-front financial and administrative investment. Preparing for the inspection process can take one to two years, with the accreditation process covering every aspect of hospital care from clinical outcomes and safety to sanitation and environmental impact. For that reason, hospitals tackling JCI accreditation tend to require strong outside support, whether it’s from a country’s government, advanced hospitals in the same country or an alliance with a U.S.-based hospital network. For example, Bosio says that the UAE government has offered support for hospitals seeking JCI accreditation. Kohli says that his hospital, Cleveland Clinic Abu Dahbi, had a leg up during the JCI process because it had been part of the plan since before the hospital was even built. Hospitals seeking JCI accreditation face many challenges, including an up-front financial investment, reshaping of cultural norms and the sheer administrative burden that is associated with the accreditation process. Although the financial burden can be challenging for small hospitals, in the long run JCI accreditation might bring revenue to the hospital, both from preferential treatment from large payers, including the government, and from increased revenue from local patients and medical travelers from abroad. “It is not for quick money, but for long-term success,” says Sylvia Pan, general manager of Beijing United Family, a JCI-accredited hospital in China. She notes that Beijing United Family has seen an exponential business growth since accreditation in 2005, going from US$30 million to around US$150 million in 2017. Another example is a JCI-accredited hospital in Spain that saved more than US$12 million over four years because of the reduction of hospital stays, readmissions and unnecessary Cesareans — a result of streamlined operations put into effect to meet accreditation standards. Although the cost of the JCI survey itself is US$72,000, the total upfront cost of accreditation might vary greatly depending on the location of the hospital. Dr. Mohammad Karim, senior advisor of HANH PHUC International Hospital in Vietnam, estimates that for a medium-sized hospital with 200 beds, accreditation will cost around US$108,000 — a figure that includes travel and accommodation for surveyors for both the mock and final survey. Yet for Pan, the greatest challenge for Beijing United Family Hospital was not in the finances, but rather in changing the mindset of the clinical staff, especially in regard to mandates around transparency. And Kohli agrees. “The financial piece is the easier piece, while the cultural shift from delivering care to delivering high-quality care is a bigger leap," he says. It’s not, of course. The huge drop in Corniche’s OB/GYN surgical complication rate was a direct result of staff having to learn to enter every incident of post-surgical bleeding into a database, where it could be correlated with procedures and surgeons. But until the benefits start to accrue over months and years of data entry, the extra task can seem unnecessarily time-consuming to staff that may already feel stretched thin. Maintaining the administrative infrastructure after the initial inspection is over can also prove difficult for many hospitals. “The biggest challenge with JCI assessment is that reviewers only come around every three years, so you have to get your clinical workforce engaged continuously so that it does not become a six-month exercise,” says Bosio. Different hospitals employ different strategies to prepare for the JCI vetting process, but each is driven by a desire to improve outcomes, bring standards up to established norms and bolster international acumen. Bosio says that for Corniche Hospital, the decision to pursue JCI accreditation was driven by the UAE government’s desire to set down a benchmark and establish standards across government-affiliated hospitals. Beijing United Family Hospital decided to seek JCI accreditation at the request of its international staff — a third of its full-time providers are from overseas, mostly from North America, Western Europe and other Asian countries like Singapore and Nepal, notes Pan. “We were claiming to be an international hospital, but we did not have one standard,” says Pan, who helped oversee the hospital’s successful JCI accreditation in 2005. “Now, our physicians can go to any JCI hospital in the world and know we are speaking a common language,” she says. The Cleveland Clinic Abu Dhabi relied on its U.S. ties to succeed with JCI accreditation. “We had an advantage in that we were building our hospital in the image of the Cleveland Clinic in the U.S.,” says Kohli. “Organizations that do not have the resources to have somebody work on JCI full-time might rely on consultants to come in and guide them, and I think that’s workable,” he adds. Outside help isn’t strictly necessary, though. Beijing United Family Hospital was among the group of hospitals that did not hire an outside consultant. “You save costs but sometimes you miss several points, and you can get unexpected surprises,” says Pan. “But with a consultant, the risk is that people will go back to their own styles very quickly.” Pan adds that were she to do it over again, she would both employ an outside consultant and create an internal task force. But regardless of the approach, Pan, Kohli and Bosio agree that the process of pursuing and attaining JCI accreditation improves outcomes and quality overall. For Pan, one of the most dramatic improvements at her hospital was related to the rate of Cesarean sections, a procedure that surgeons are more prone to recommend in the absence of adequate quality controls. In the years prior to JCI accreditation, Beijing United’s Cesarean section rate reached a peak of 40 percent. But in 2015, a decade after JCI accreditation, the rate dropped to 27 percent. Ultimately, all agree, one of the main benefits of JCI accreditation is in building a culture of accountability within a hospital. “It makes people uncomfortable to report mistakes, but you need an open and transparent environment,” says Pan. Although achieving accreditation back in 2005 took a lot of effort and resources, she adds, now JCI’s international best practices have become a natural part of hospital operations. Ultimately, it’s those best practices, and the better patient outcomes that go along with them, that are the real point of accreditation. Sony Salzman is a freelance writer based in Brooklyn, New York.